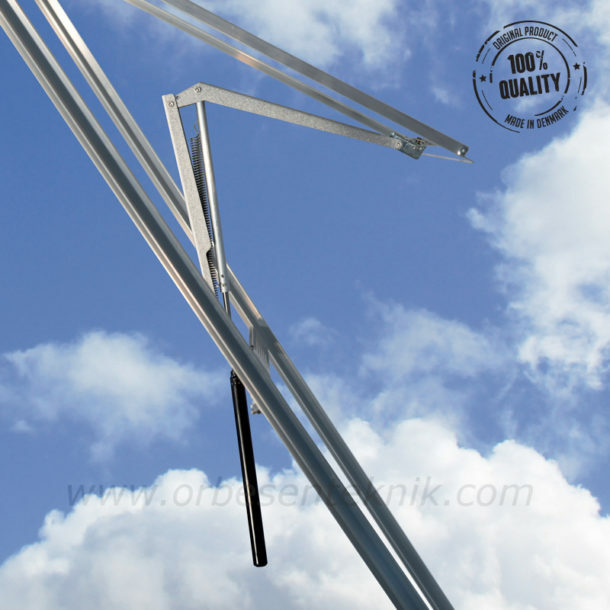 The slim and competent Thermovent® window opener is manufactured in aluminium-zinc coated steel. 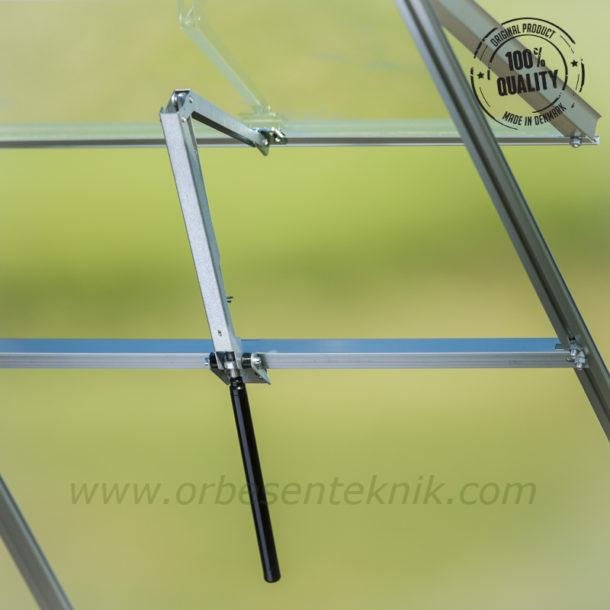 This will give you a very cost effective window opener with a brilliant corrosion protection. As with the other openers in the small range, the Thermovent® also uses our standard hydraulic cylinder. With this opener, the hydraulic cylinder will at all times be inside the greenhouse disregard the position of the window. This will ensure that the window opener is reacting on the temperature inside the greenhouse, thus open when the temperature increases. If the hydraulic cylinder were influenced by the lower outside temperature, the opener might not open. This would result in a too high temperature inside the greenhouse. To ensure an effective ventilation in the greenhouse, the opener is designed with a long opening stroke. This will benefit your plants during the warm periods, since the opening stroke of the vent is proportional to the possible ventilation in the greenhouse. 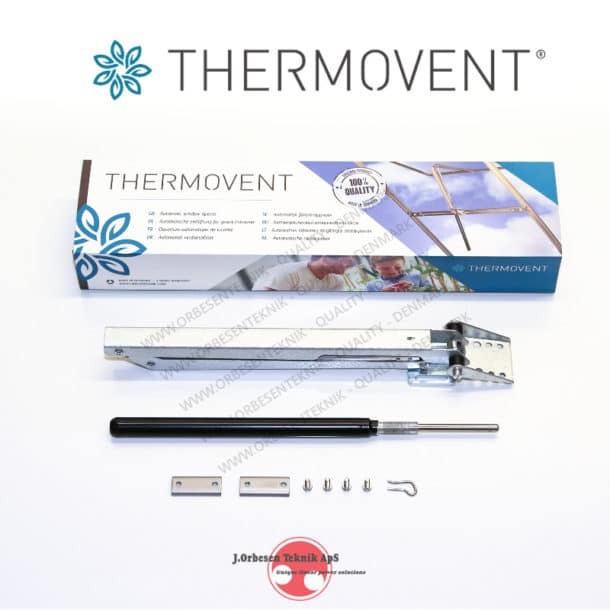 On the Thermovent® opener, you have the possibility to stepless adjust the temperature where the opener begins to react on the surrounding temperature. This is an important contributor to the optimum temperature in your greenhouse, thus for your plants. The aluminium-zinc coated Thermovent® opener gives a metallic surface that has a high degree of corrosion resistance. This will easily make the opener last throughout it whole lifetime.